More than a year ago, we had asked several successful people about the best financial advice they had received. Actor Shah Rukh Khan recalled what his mother had told him: "The time and energy spent on plugging holes can be more constructively used in trying to increase income." Wise words, especially in times of rampant pay cuts and retrenchments. One good way to increase your income is by moonlighting. "Additional income in these times is handy, especially if you have debts like home loans," says Pune-based financial planner Veer Sardesai. We look at the various ways in which you can bring in additional income. Remember, however, to check with your employer if this is permissible. After all, you don't want to lose your existing job while searching for another one. The easiest way to moonlight is as a consultant, assuming you have specialised knowledge that is valuable to others. "The income of consultants depends on the number of clients and their operations. If an organisation has a turnover of Rs 5 crore, a CA can earn Rs 1 lakh a year as a consultant; if he works with one that makes Rs 15 lakh annually, he can get Rs 15,000-20,000," says Jitin Chawla, a Delhibased career counsellor. Another viable option is to become a part-time lecturer. Government-run institutes pay Rs 750-1,500 an hour, the private ones pay up to Rs 5,000 an hour. Writers and proofreaders are also in demand. Thomas Jacob, 32, an assistant manager with a travel software development company, puts in five hours on weekends proofreading documents. "If the slowdown takes a toll on my regular job, I won't have to worry much about paying the bills," he says. Foreign publications pay even more, adds Pervin Malhotra, executive director, Career Guidance India. If you have no job-specific skills, teaching is a good option. Several people are tutoring online as this lets them earn from home. Krishnan Ganesh, founder and chairman of tutorvista.com, says, "For 70% of our teachers, it is a source of additional income. Teaching undergraduate courses can fetch Rs 10,000 a week. You can earn up to Rs 8,000 for higher secondary classes." Made Rs 55,000 from his blog worldcuptwenty20.com. Has recently launched ipl09.com, a blog on the second season of the Indian Premier League. "You must make sure the content of the blog is original and interesting, and is updated daily to attract visitors." Then there are foreign language specialists like Divya Vij, a BPO employee, who teaches German on weekends. "These days, a back-up plan for your career is a must. So I started providing coaching in German," she says. What you earn depends on the complexity of the language. Translators earn roughly Rs 300 a page. Network marketing for firms like Amway, Avon and Modicare is a better-known way to earn more. If you are Internet savvy, online marketing is a feasible option. "It is as easy as sending an e-mail about a product or placing advertisements on Websites. The more business you get, the more money you can make," says Chawla. Music and dance schools also employ part-time teachers. Guitar teachers can start by earning Rs 250 an hour, while vocal trainers can make Rs 500 an hour. Keyur Kapadia, 28, an assistant manager in a software company, organises adventure sports and trekking camps in his free time. "Earlier, it was out of interest, but when the money started flowing in, I began to see it as a support to my regular pay," says Kapadia. Blogging can also be a source of income. Some sites such as watblog.com pay for articles, but most of the money comes from ads, on a pay-per-click basis. So you need a blog with sufficient traffic for this to work out. 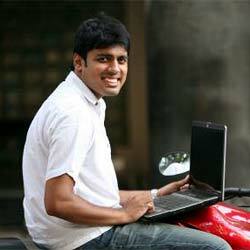 Ekalavya Bhattacharya, 24, product head, Contest2win.com, made Rs 55,000 from his blog, worldcuptwenty20. com, in 2007. "Besides earning money, I also made new contacts," he says. Asfaq Tapia, 25, a Mumbai-based corporate communications manager, makes money from his blog, but not through ads. "Once your blog becomes popular, you can offer consultancy, besides advertisements. That is how I am making money now," he says. The bottom line: if you don't mind extra work, you can make up for the increment you never got.